CIAT began 2015 with the good news that the Agresso platform, officially launched last 5 January, is now live and that the uncertainties associated with such an important event are gradually being resolved, while already yielding benefits for the Center. This date signifies a real milestone, because it indicates that, in 2015, the new platform will continue being implemented. In fact, once the adjustments are completed—which will allow us to make the most of Agresso—steps will be taken to make the Human Management and Travel Modules function in correspondence with the Regions’ needs, and to provide new training schedules. 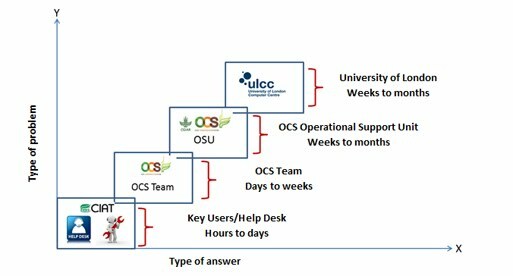 To facilitate the best possible use of this tool, the One Corporate System (OCS) Team focused on training a group of 30 multipliers on how to manage Agresso. 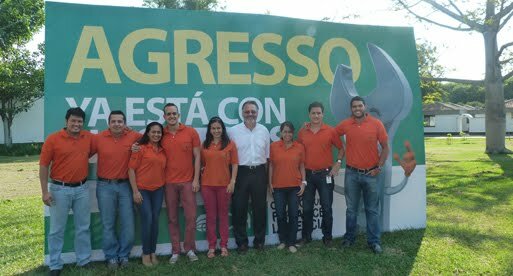 Groups of 20 to 30 users from different support units at CIAT also received teaching sessions on Agresso, its functioning, and the advantages of relying on only one platform that integrates applications. Previously, these applications had been managed separately, including Travel Information System, International Consultants, and Budget Execution. You are invited to regard 2015 as the year in which CIAT begins a new step with a novel work tool that will bring further learning and benefits, thus strengthening the Center’s labors. The support and willingness that you have all demonstrated so far form the foundation on which to continue building Agresso as an essential instrument for both CIAT and the CGIAR Consortium.